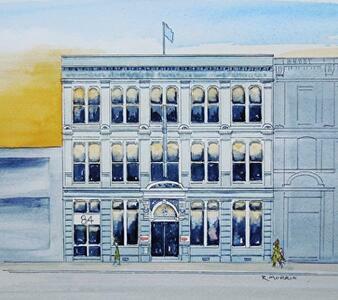 A digital copy of a pen and ink and watercolour painting by Raymond Morris, titled, 'Former Civic Offices, 194/198 Manchester Street, 1900-2011'. 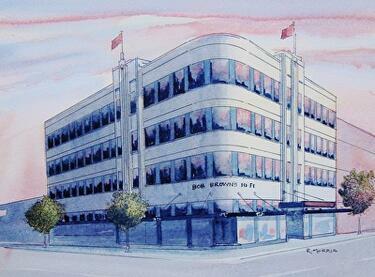 A digital copy of a pen and ink and watercolour painting by Raymond Morris, titled, 'Sevicke Jones Building, 53 Cathedral Square, 1913-2011'. 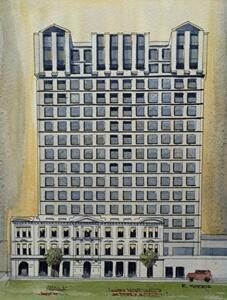 A digital copy of a pen and ink and watercolour painting by Raymond Morris, titled, 'Clarendon Tower, 1987-2011'. 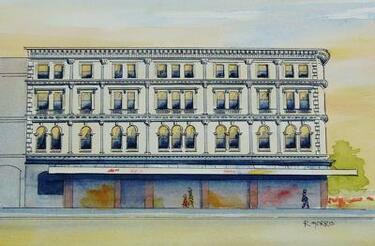 A digital copy of a pen and ink and watercolour painting by Raymond Morris, titled, 'Whitcoulls, Cashel Street, 1906-2011'. 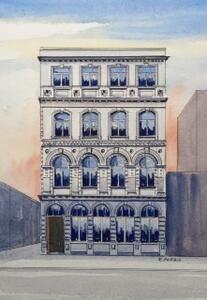 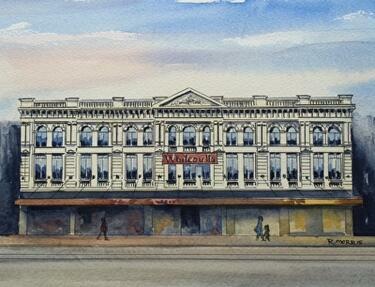 A digital copy of a pen and ink and watercolour painting by Raymond Morris, titled, 'Holy Grail, 88 Worcester Street'. 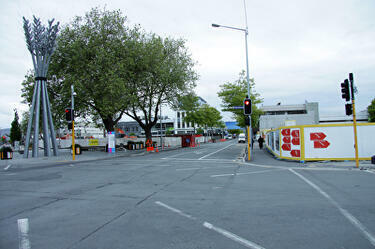 A photograph of stencilled street art on a fence beside the St Martins Road roundabout. 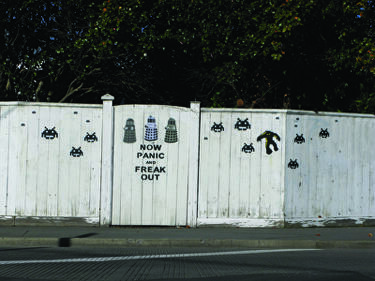 The stencil, created by Kerry Parnell, depicts daleks and space invaders, and reads, "Now panic and freak out". 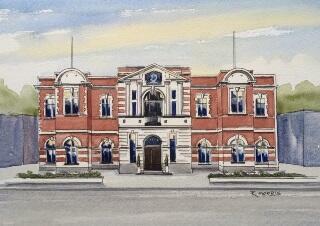 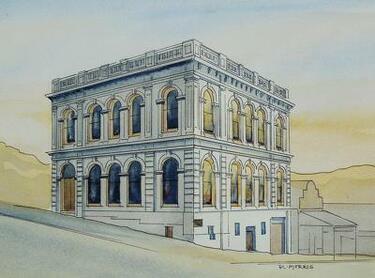 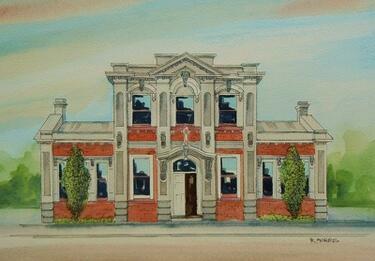 A digital copy of a pen and ink and watercolour painting by Raymond Morris, titled, 'Lyttelton Fire Station, 1901-2011'. 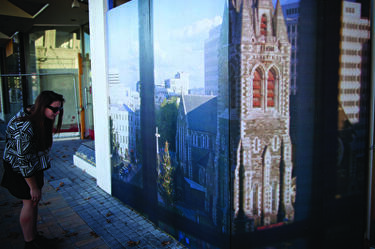 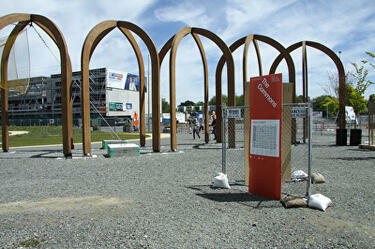 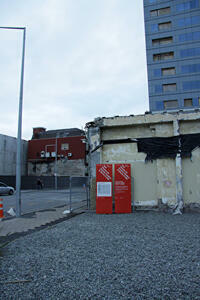 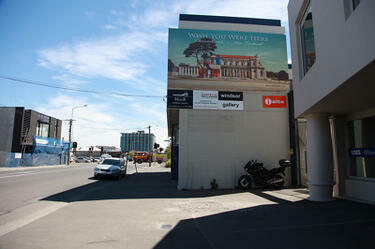 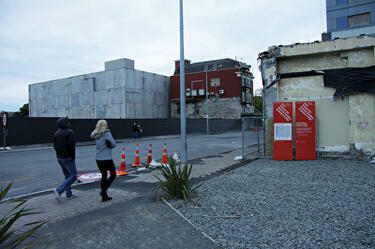 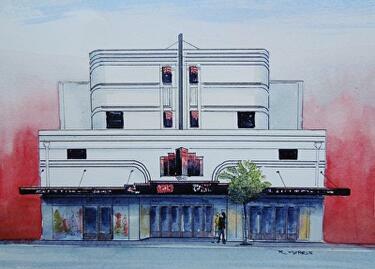 A photograph of Julia Holden's painting 'Basilica' displayed on a billboard on Cashel Street in Christchurch. 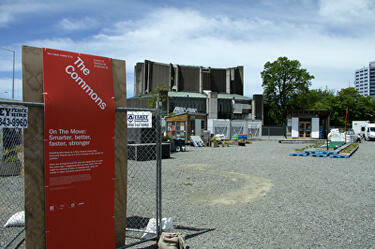 A photograph of two large signs that are part of Signs of Things to Come. 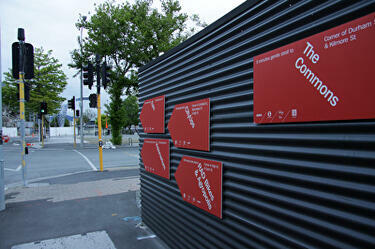 This was a wayfinding project by Generation Zero and Diadem, for FESTA 2014. 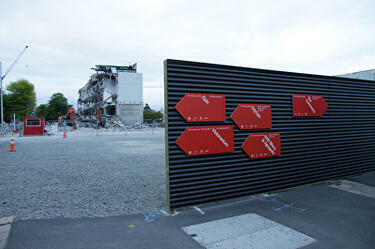 The signage gives directions to key central city and FESTA locations, and compares the current and future potential of transport in Christchurch.